The New 700 Embroidery machine is the only BERNINA made exclusively for machine embroidery. Design editing allows you to easily position, mirror, rotate, combine and resize motifs. Create curved lettering effects, alter stitch density, combine alphabets with embroidery or create beautiful endless embroidery designs. Complex combinations can even be resequenced according to color, and alternative color options can be reviewed before stitching out. The finished design can be saved directly on the machine or a USB stick. What’s more, additional designs can be imported to the machine via the USB port. And the Check function lets you position the design precisely before embroidering. The remarkable, easy-to-use embroidery module with especially large embroidery area, three hoops, and the multiple spool holder come as standard. 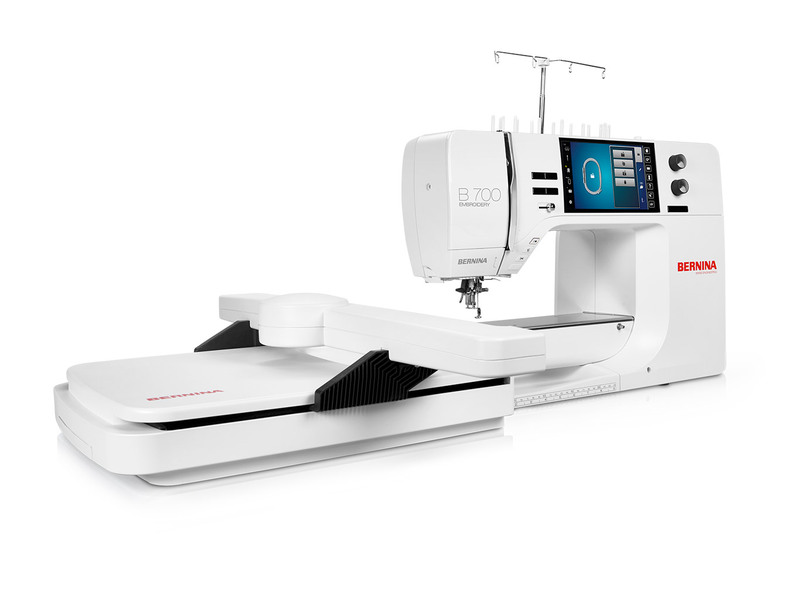 Experience the BERNINA 700 Embroidery today!